Today we visit a magnificent home that recently underwent a modern revamp, saying goodbye to the old 70’s style interior, décor and furniture. The home is now updated, chic, practical and comfortable with minimalist style, elegant additions and functional character, making it the perfect home for a young professional couple who love sophisticated style and unique furnishings. 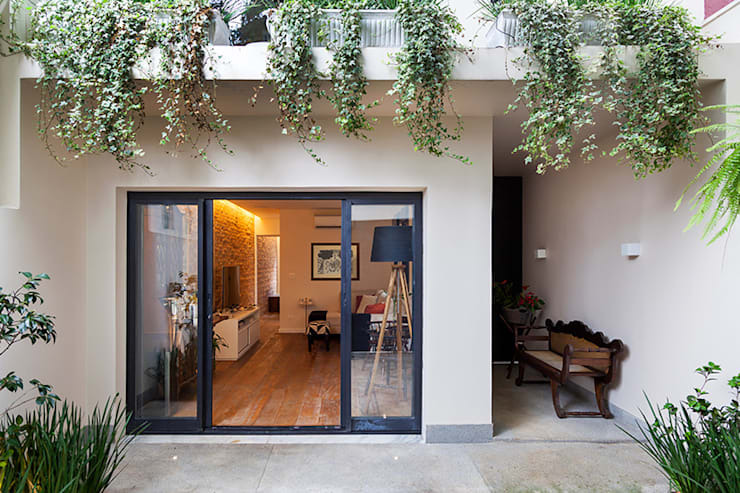 Although this young couple opted for a fresh take on this stale structure, the architects ensured that much of the personality and charm of the building was preserved. The façade is one of those fantastic areas of this home that exudes contemporary style, but with the classic elements of retro charm included into the design. 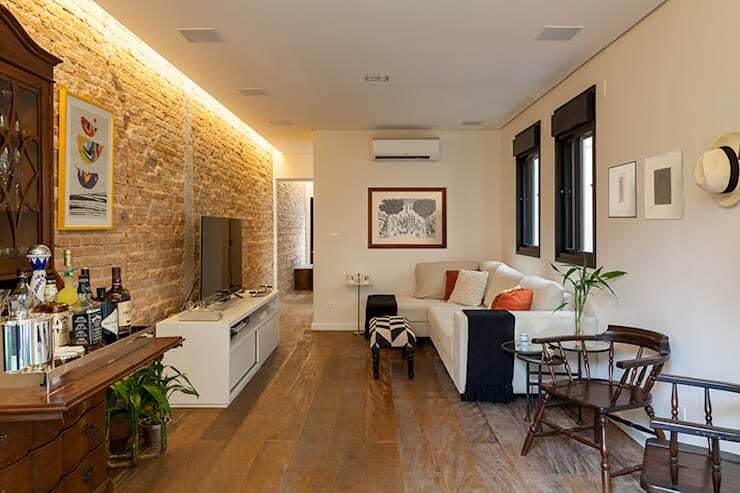 The original brick walls of the building were maintained, creating an industrial style décor that is modern, elegant and updated in this living room area. 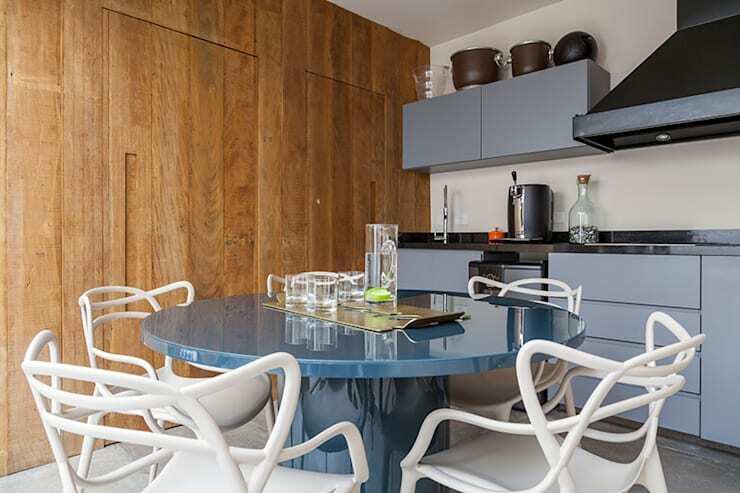 The rest of the space however underwent a full demolition with wooden flooring, modern contemporary furniture and simple design adding a cosiness to the room. From this angle we can see that the kitchen and dining room of this home is open plan, and while two distinct flooring materials clearly divide the space, the area is a perfect merger of style. 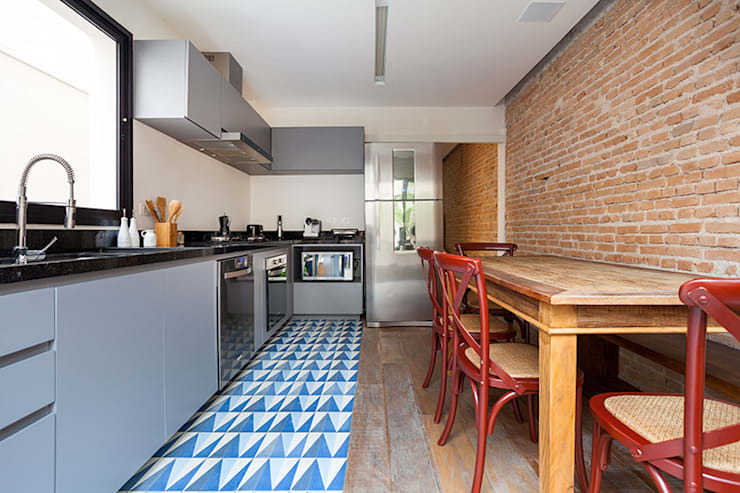 The kitchen is modern and sophisticated with blue floor tiles in a traditional detail, while the minimalist cabinets and black countertops are undeniably sleek and trendy. This kitchen and dining room area extends to the outdoors, where a sliding door takes us to a patio area. It’s comfortable, bathed in sunlight and enjoys views of the garden in all its delight. Now that is perfectly planned. Although this home is for a young and trendy couple, there is nothing stopping them from mixing old décor and new style to create something even more fabulous. 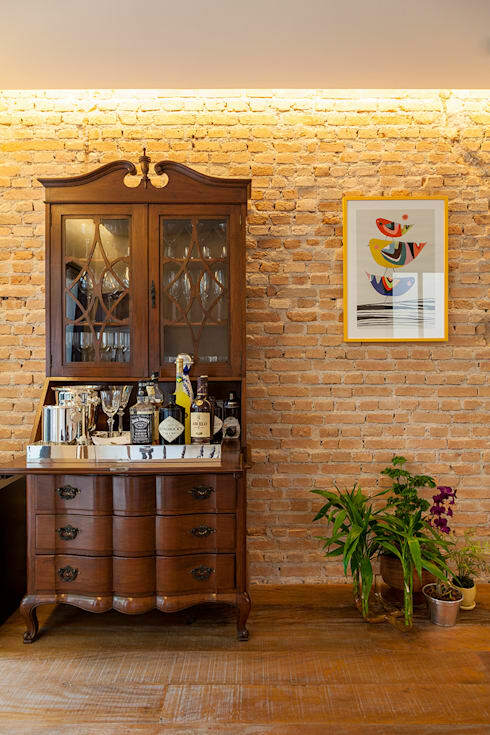 The exposed brick wall, along with the vintage liquor cabinet is a sensational addition to the space. Traditional and tasteful has never looked so amazing. 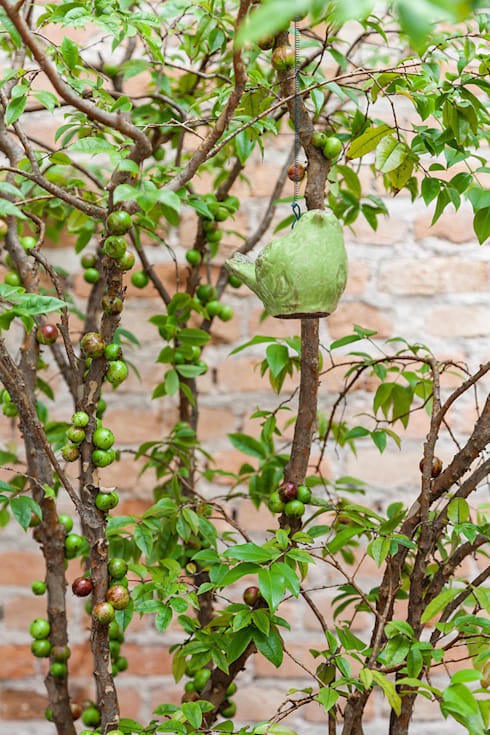 The garden located on the back patio is filled with greenery and delicious fruit, making it the perfect haven for local birds and inhabitants of the home of course. Any home that is spacious with all the possibilities of entertaining and socialising must include a barbecue facility. This cooking space can be used regardless of the weather and is situated opposite the kitchen. It has its own seating area and kitchenette, allowing all mess and dirt from to remain out of the main house. The round dining table is cosy and elegant, adding a comfortable and cosy touch to the space. This all-white bathroom, with black trim is perfect. 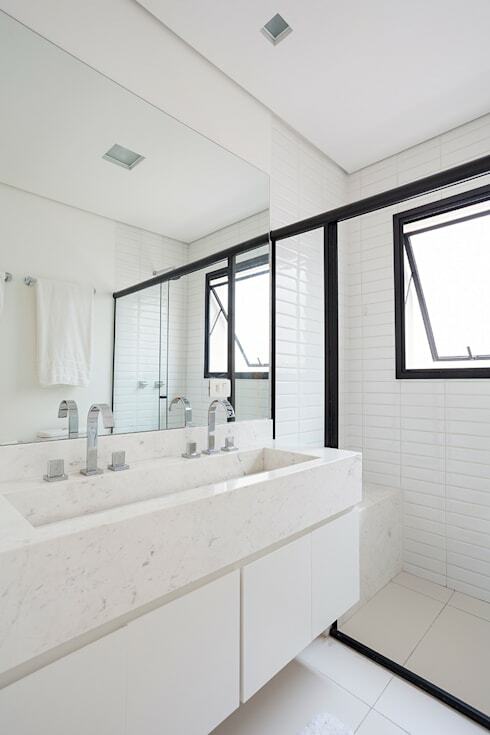 The minimalist style, sophisticated design and high quality materials make this bathroom sleek and sensational. The porcelain floors, white marble sink and lacquered wooden cabinets are practical and elegant. A master suite should be a place to relax and unwind, this bedroom however takes tranquillity a step further with this gorgeous green view. 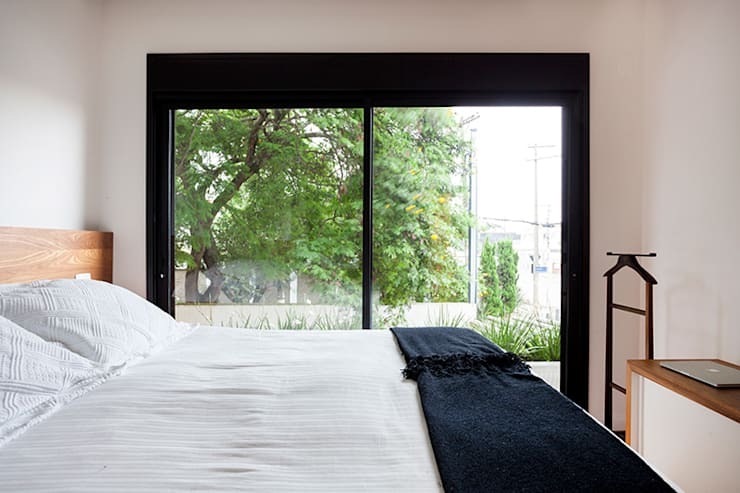 The private balcony allows for the outdoors and fresh air to be enjoyed from the comfort of this beautiful bed, while abundant natural light and neutral colours add to the décor. These: 10 Inspirational Small Bedrooms are filled with style. 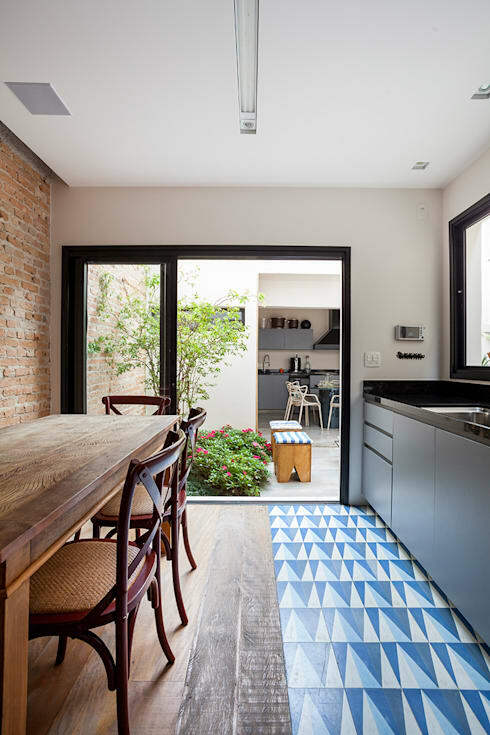 Which room of this simple home do you adore?